The Azerbaijani business aviation operator, Silk Way Business Aviation, which is a part of the Silk Way Group, received the oversize high-speed business jet Gulfstream G650 on June 11, thereby getting the second such aircraft. The first Gulfstream G650 arrived in Baku in March this year. The purchase of the second Gulfstream G650 jet will allow significantly expanding the geography of flights and attracting new clients from neighbouring regions, said Boyukaga Guliyev, Silk Way Business Aviation’s Director. The SW Business Aviation, founded in 2007, is one of the largest operators of business aviation and is a member of the European Business Aviation Association (EBAA). 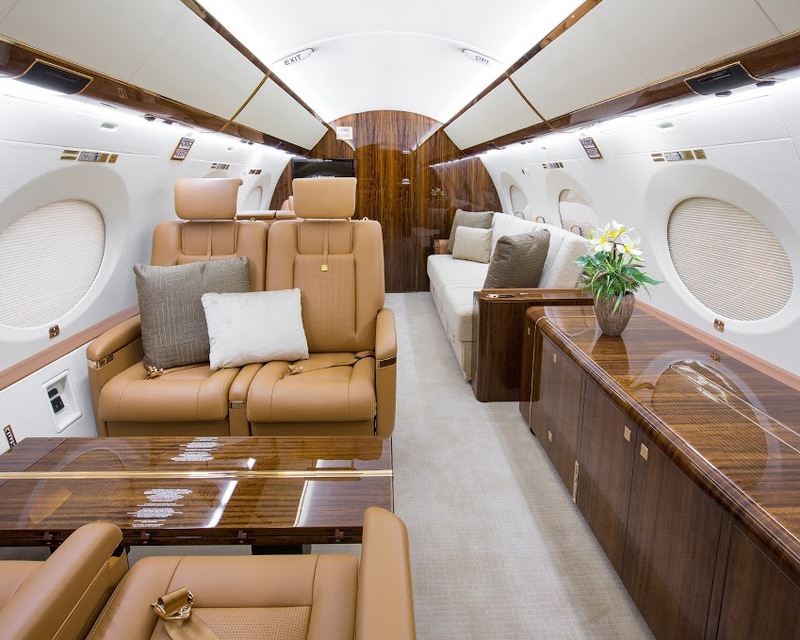 The company’s history began by purchasing Gulfstream G450 aircraft. Then G550, G280 and G200 aircraft appeared in the fleet. Currently, the Silk Way Business Aviation fleet has eight different Gulfstream aircraft. Besides Gulfstream, there are also Boeing 727 jet and ATR-42-500 regional VIP turboprop. As of 2014, SW Business Aviation traffic growth was about 30 percent. Such cities as Moscow, London, Dubai and Istanbul are among the most popular directions of SW Business Aviation. Some 40 parking spaces have been allocated for business jets at the Heydar Aliyev Baku International Airport. This will easily allow receiving all visitors during the first European Games to be held in Baku on June 12-28. SW Business Aviation, which is also an exclusive agent for all foreign charter and business flights, is charged with about seven flights daily.